I've been watching the show on Blu-ray for the first time. Currently in the middle of the fifth season. One thing I really like is how they went in and made minor corrections to some really annoying inconsistencies. Like in "Encounter at Farpoint", where Picard orders a modified phaser beam to feed the creature on the planet. Originally, the beam came from the area of the captain's yacht. 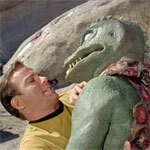 Now, it comes from the phaser array. In "The Naked Now", when they find the file from Kirk's Enterprise, originally they had a graphic of the refit Enterprise. Now, it's the OS Enterprise. In "Darmok", they originally had phaser beams coming from the torpedo launcher. Now, the beams come from the dorsal phaser array. I had hoped that they had managed to correct the 3d model of the refit Consitution. The one seen throughout the first season with the backward warp nacelles. But, I guess not. Oddly, I seem to recall that they made a big deal about how they weren't changing TNG, only restoring the image quality. Yet as you say, they clearly did fix a few little nits around the place. I appreciate the changes, myself. Huh? The 3D refit constitution in TNG? I'd imagine that woukd cost alot of money and time to correct that with CGI. McAvoy wrote: I'd imagine that woukd cost alot of money and time to correct that with CGI. Yeah. that would be a lot of shots that would need touching up. Okay, you want a real weird thought on this topic? I was reading through some of my episode reviews and I came across "Hide and Q". In this episode, Riker is given the power of the Q. He chooses to give each of his friends a "gift" - he gives Geordi normal vision, offers to make Data human... and makes Wesley ten years older. One of my episode nits for this episode was that this guy looks nothing like Wil Wheaton now that he's way older than the kid he was then. As I read it, I idly wondered if we could convince Wil Wheaton to get plastic surgery so that he looked like that guy. I figure probably not, as his family wouldn't like it. So that set me thinking. Imagine if they had used their "insert new actor into old scene" technology from Trials and Tribblations... and actually put the older Wil Wheaton into that scene in place of that guy! How totally cool would that be?! 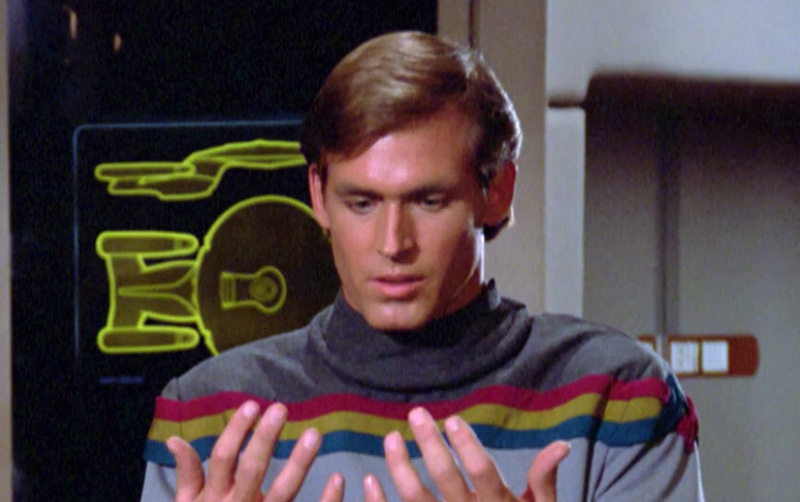 To have the older Wesley Crusher actually played by the older Wesley Crusher!!! That would be sooooo amazing! Never been a fan of that, to be honest. Just feels like a step too far.